My students in Tempe, AZ will attest that I constantly preach about both mental and physical control in BJJ to achieve their best. This sport requires mental toughness and that only comes when you’re focused and practice mentally conditioning. It helps build mental toughness, the ability to continue when others would have quit and stick with a goal even though things may be going against you. The mental aspect of BJJ is as important as the physical and on some levels, even more important. If you panic when you’re in a precarious position, you won’t succeed. One of the most important lessons of BJJ is to avoid panic and giving up. No matter how much it seems like you’re defeated, if you remain calm, you can identify your opponents weakness and use it against them. 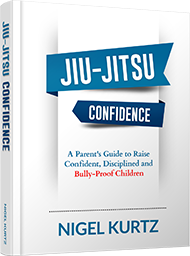 It takes focus and confidence to do it, which are two important lessons learned from Brazilian jiu-jitsu. Remaining relaxed during a competition and focused can mean the difference between a win and a loss. Mental and physical control help wipe out negativity, your worst enemy. Getting angry, feeling threatened or frustrated won’t help you in a match. However, preparation will. It gives you the confidence to remain calm and completely focus on your opponent, their moves and their anticipated moves. Expect to feel a little nervous when you’re first competing. It takes time to develop that mental control. However, when you’re thoroughly practiced in your moves it gives you the strength mentally to continue and your physical control takes over the battle. Preparing your body physically varies by individual. Physical builds vary and affects the types of guards and moves you use throughout each match. People that are taller or shorter or those that have more muscle or excel in speed, use their build to their advantage, practicing moves that will benefit their girth, lack of it or height. No matter what your size or shape, building your endurance will help you gain more physical control. Even boosting your flexibility can add to your physical control of a match. BJJ is all about preparation, both mentally and physically. It’s one reason many people keep coming back for more. That mental and physical control learned in BJJ translates to other areas of your life. Just like in life, in BJJ the hardest element to control and the only one that you can control in any situation is yourself. When rolling, focusing on the act, rather than worrying about the end results is always best. Keeping your mind positive throughout practice and enjoying each challenge as it occurs is the making of a champion. Controlling all parts of your body is important. For instance, if you don’t have hip control, you may not be able to keep get the upper hand, especially if your opponent has hip control and can counter your moves.